The ALPSP Awards for Innovation in Publishing will be announced at the conference next week and while the tension mounts, we continue our series of posts profiling the finalists. Here, Co-Founder Siniša Hrvatin explains what makes ReadCube Connect so innovative. SH: Rob and I started ReadCube in 2007 as college room mates. Our vision was simple: create beautiful and easy to use applications that help researchers stay on top of and gain access to research literature. Today we develop tools and technologies for all three segments of the publishing ecosystem - readers, libraries and publishers. For readers, our free applications help researchers in any discipline easily organize and manage their growing collections of scholarly articles, and discover new literature through helpful search tools and daily, personalized article recommendations. For libraries we offer innovative, demand-driven access systems to supplement site license collections. Finally, our suite of publisher tools offers our indexing and discovery service (Discover), our integrated, on-platform Enhanced PDF reader (Connect), and our plug-and-play article eCommerce solution (Checkout). Making all of this possible is our dedicated team, and support from Digital Science, a technology division of Macmillan Science and Education. SH: ReadCube Connect is our HTML5-powered PDF reader that redefines the way readers and publishers interact with content. It seamlessly integrates into a publisher’s article pages, loads articles up to ten times faster than the typical in-browser PDF reader, and overlays the richness and hyperlinks of the publisher HTML onto the familiar layout of the PDF. Connect's fast and interactive reading experience keeps readers engaged longer, and offers advanced article-level metrics and new eCommerce opportunities to publishers. SH: We are based in Boston (MA) and Zagreb (Croatia) and have spent over seven years developing new interactive article reading technologies. We like to think of it as bringing the PDF to life. We incorporated extensive feedback from publishing partners as well as readers and developed a new evolution of the Web Reader built on the latest web technologies. Connect is driven by an efficient HTML5 PDF renderer, is COUNTER compliant, offers in-depth article level usage metrics and sports a completely redesigned interface. Connect enables readers to make comments on an article with annotation tools, to explore new articles with hyperlinked inline references and our related article feature, to look at publication histories of authors, and to review contextual article information (including supplementary information and altmetrics) - all in just a single click. The resulting product is both powerful and extremely lightweight, requiring only a single line of code to implement. Once a publisher integrates ReadCube Connect on their platform, they also have access to our Discover and Checkout products. ReadCube Checkout, for instance, can be activated to optimized article eCommerce sales and offer article rentals. In our experience, we’ve increased total publisher eCommerce sales by up to two-fold and revenue by up to 40%. SH: The disconnect between publishers and readers is a serious problem. Up to 90% of end users exit the publisher’s platforms via the PDF download link, leaving publishers blind to how their content is being consumed. Readers today are increasingly younger, global and accustomed to fast, interactive and beautiful applications. They are used to a whole new standard for ingesting information, news and even books. We think it’s vital for publishers to provide a similarly engaging and interactive reading environment to researchers. With research output growing dramatically, researchers can often find the same or similar content from multiple sources and third-party websites. For this reason, it is more important than ever for publishers to invest in the presentation of their content, to measure and understand new reading behaviors and preferences (online and offline) and ultimately to provide the best reading environment that will engage their readers. ReadCube Connect ensures publishers are engaging their end users in ways they want to be engaged while offering publishers the data they need to continue evolving their content and platform and build loyalty with the new generation of readers. 5. What are you plans for the future? Extending the Connect reading experience beyond individual articles to include books and other forms of scholarly work. Heatmap annotations, making use of big data to enable end users to scan the article and quickly discern which passages were of most interest to other readers around the world. Further content enhancement in the form of overlays for biological and chemical terms in the full text. 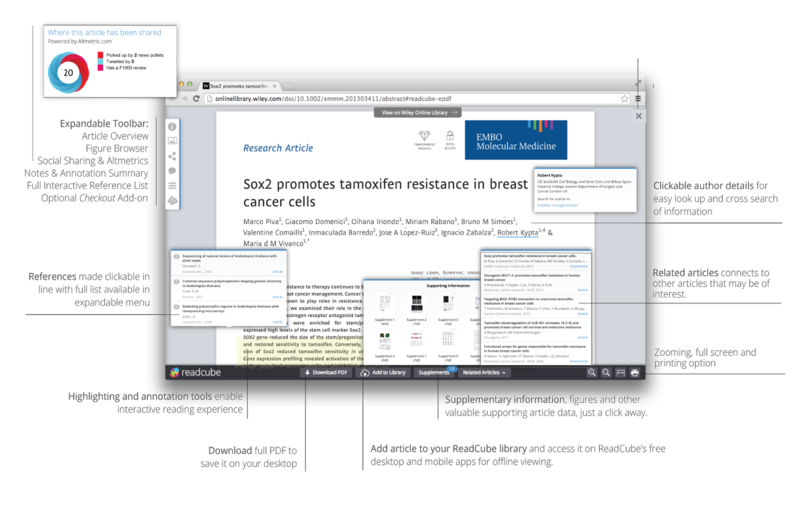 Collaborative integrations with other digital technologies such as figshare and expanded integrations with Altmetric. 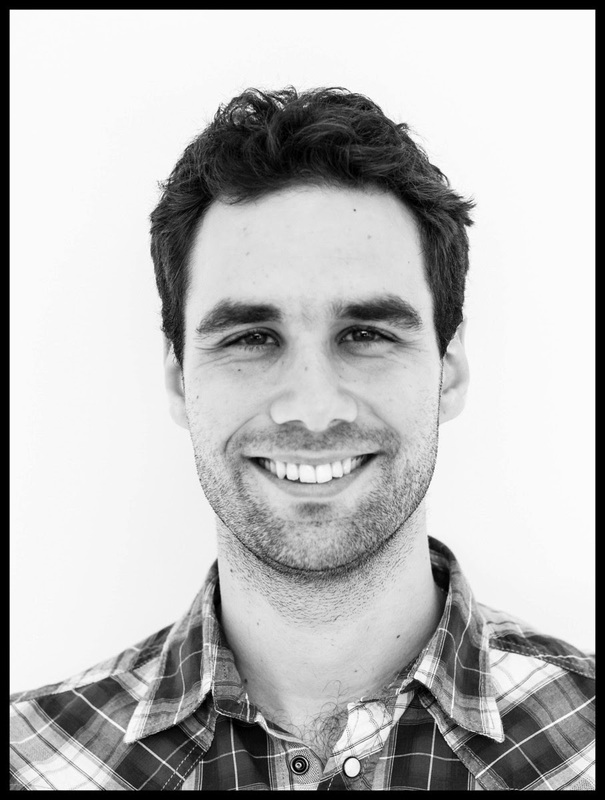 Siniša Hrvatin is the Co-Founder at ReadCube.